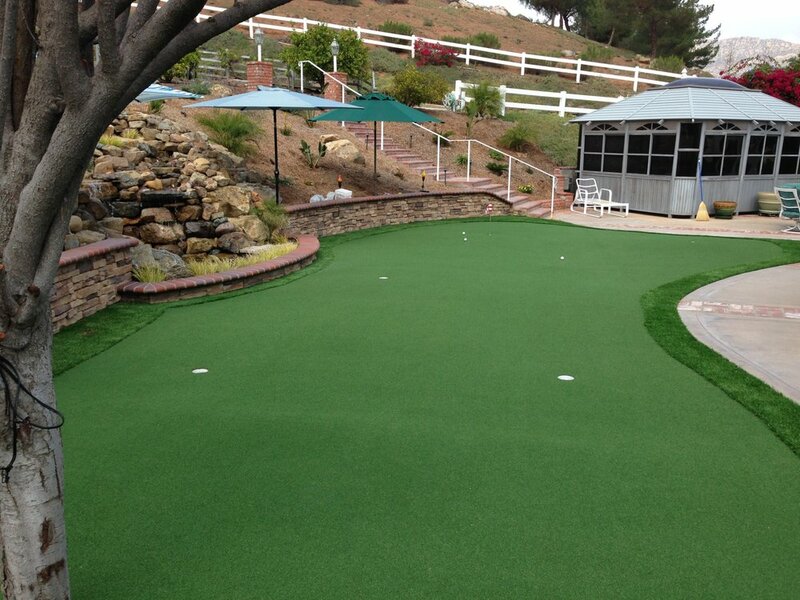 San Diego Putt Emerald Artificial Grass is ideal for residential or commercial putting green landscape. Its Field Green color looks natural, realistic and gives you an outstanding game experience. Endorsed by the two-time Master Champion Bernhard Langer, our putting greens are the great fit for golf clubs, parks, attraction areas, or individual golfers who love to enjoy a personal golf course in their own backyard. Whatever your golfing needs, we can design and install an artificial putting green that fits your unique landscape.